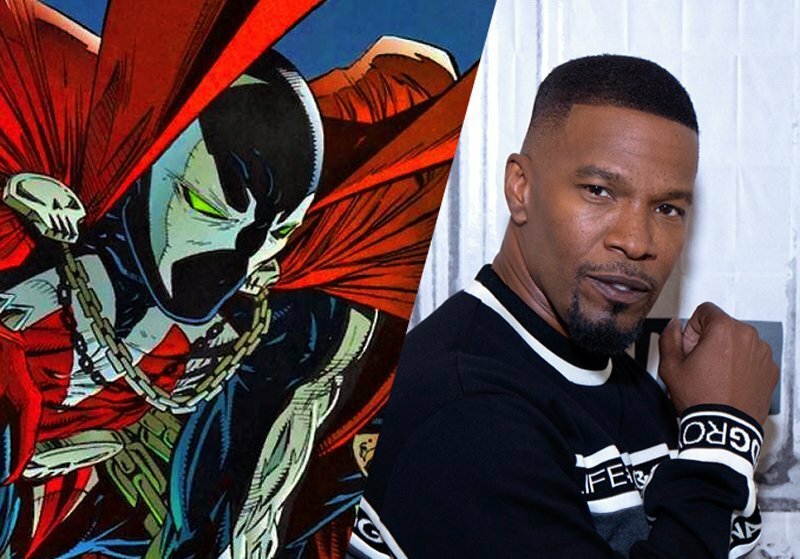 Jamie Foxx Confirmed to Play Spawn in Todd McFarlane's Reboot! Deadline is reporting that, after years of discussing his enthusiasm for the project, Oscar winner Jamie Foxx (Ray, Django Unchained, Baby Driver) has officially signed on to play the title role of Al Simmons in Todd McFarlane’s Spawn reboot! McFarlane also confirmed the film will be the first of a planned trilogy, and will NOT contain an origin story for the character, comparing the tone to 1990’s Jacob’s Ladder. Foxx previously played the Marvel comic book character Electro in The Amazing Spider-Man 2, and will next be seen as Little John opposite Taron Egerton in November’s Robin Hood. Todd McFarlane will write and direct the Spawn reboot, which he previously confirmed will be “dark and R-rated,” even going so far as to say that it would be a harder R than Deadpool. McFarlane also revealed that the budget for the film will be a meager $10-to-$12 million, an atypical budget for a superhero film (which range into the hundreds of millions at Warner Bros. and Marvel Studios) but par for the course for Blumhouse Productions (who specialize in lower-budget features anywhere from $100k to $10 million). With such a smaller scale film, the money for which McFarlane himself is at least partially putting up, allows the filmmaker to share more content with fans from the set, which he promises to do every day of production.